There are two rooms upstairs the owner’s house. 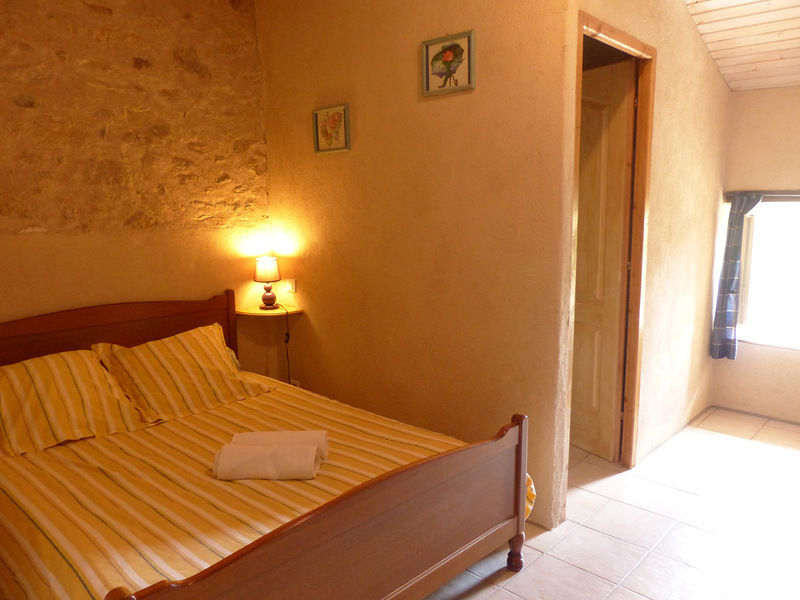 It is a large room (20m²) with a bed 160x200, a bathroom, a large shower and separate toilet. Accomodation is for two people. Adding a crib is possible. This large room is divided into two bedrooms and a bathroom. The first one has a double bed (140 x 190) and the second one has 2 antique beds (130 x 190 et 120 x 190). It has a bathroom with washbasin, shower and toilets. 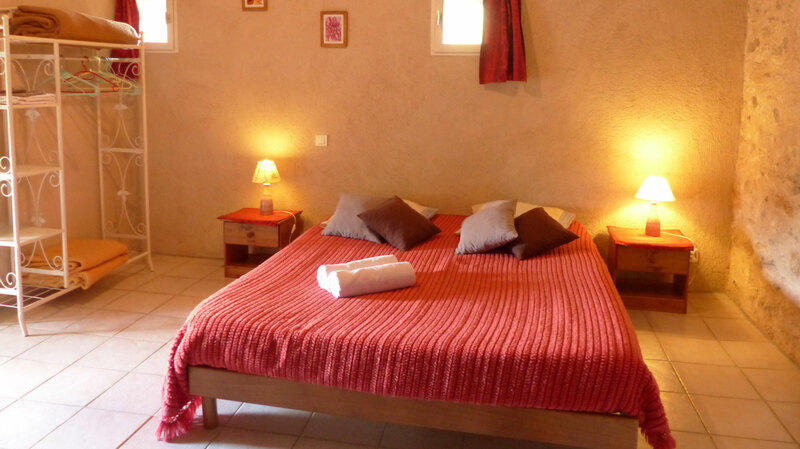 Accomodation for 2 to 5 people. In both of the rooms you’ll have at your disposal a wardrobe to put your clothes. It’s the ideal formula for a short stay.